Lauren Conrad’s Hollywood Home Up For Sale! Would You Pay $2.25 Mill For This Stunning Spanish Villa? Reality star Lauren Conrad of the hit TV show The Hills has put her Hollywood Hills home on the market for $2,250,000. 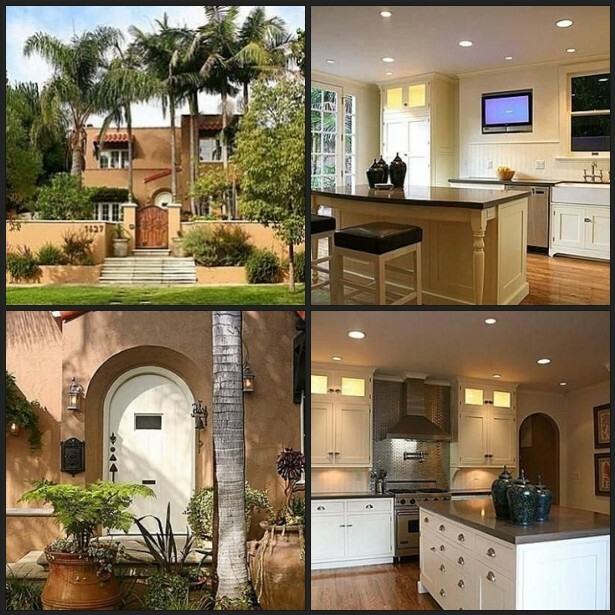 Lauren’s home is a gated 1920’s Spanish-style estate with a traditional courtyard entry and orange stucco walls. The sprawling 3,000 square foot home boasts 4 bedrooms and 3.5 bathrooms with an additional detached guesthouse complete with it’s own bathroom. Not to mention the stunning backyard featuring a rectangle in ground pool and outdoor firepit, perfect for summer pool parties and bbqs. She purchased the home in 2008 for $2.36 million. Obviously at the peak of the real estate bubble. The home was completely remodeled to her standards. Which I must say I LOVE what she did with the Spanish beauty. What do you think? What’s your opinion on the list price? Would you throw down $2.25 mill for this place? Other upgrades include refinished hardwood floors throughout and a custom kitchen with stainless-steel appliances, and original moldings and traditional Spanish floor tiles. Yum! There is something so charming yet sophisticated about a really nicely done Spanish style home. Click for full property details and specifics here. Seeing as the house has only been on the market 6 days, I’ll keep you updated as information develops. I wonder who will move in! Are you looking to buy a property in the bay area? Give us a call 408-921-3601. RemaxAdler@gmail.com We have plenty of homes for sale and are always looking for buyers. Happy Friday and enjoy your fabulous weekend everyone!